Kudos to the 50+ volunteers who came out to re-tree St. Gabriel's Church on Grant Circle in NW. We had a lot of student support from The American University, George Washington University and University of Maryland, College Park. We hope you caught the tree planting bug and come out again. 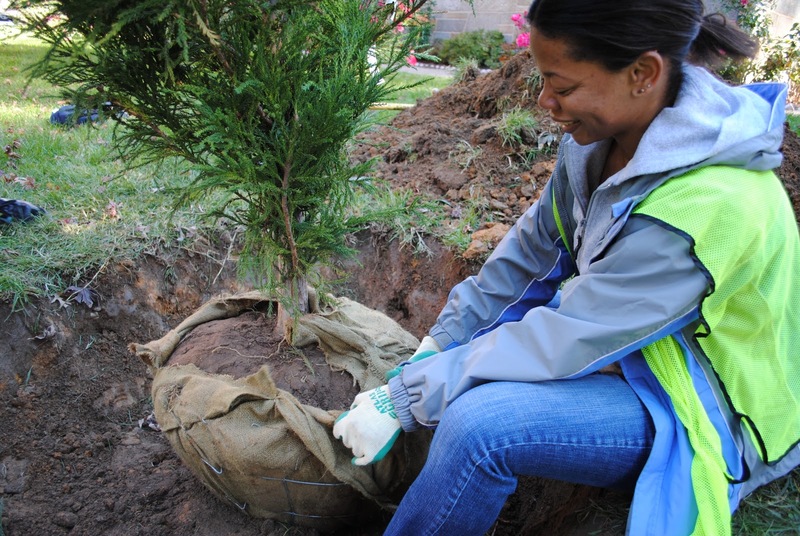 Four Community Tree Planting events remain. Sign up.